Another short one from me this month - as I'm sitting in my hotel room in Las Vegas at the National Convention finishing up the Squeal. We will have much to report when we get back, and hopefully we will learn a ton while we're here! Hopefully the snow holds off, and we can get back safely on Sunday...cross your fingers and toes for us! Every year, the 21 regions in the Northeast Division of the SCCA come together for a divisional convention that includes educational and brainstorming sessions, good food, an awards ceremony and, of course, drinks and mingling. This year, Susquehanna Region is excited to be hosting the affair. We’ve got the sessions together and it’s stacked across all programs—Solo, RallyCross, Road Racing, Time Trials, Street Survival, Road Rally and Hillclimb—along with important sessions for region administration and leadership. And, if you’re at all interested in Solo course design, it’s a must. For autocross, the course defines the experience... and when it comes to course design, Roger Johnson is the Guru. This year, he’s joining us for a 2-hour session! If you’re interested in getting more involved with the region, this is a perfect opportunity to hob-nob with other region leaders and national employees… all while learning more about the SCCA’s bigger picture. Feel free to register using the link below or email Kristen if you have questions about attending as a Susquehanna Region member. Not a lot to report just yet from RallyCrossland. The planning gears are turning in the background. We’re trying a few new things this year to improve the program, which should make things bigger, better, and faster! Prepare yourself for our biggest and best season yet! Our next meeting will be held in the main room of the Abbey Bar on the second floor at Appalachian Brewing Company, 50 N. Cameron Street, Harrisburg, PA 17101. All members are encouraged to attend. Come an hour early for dinner (and a drink) with other members. Have you been looking for region specific apparel and gear? 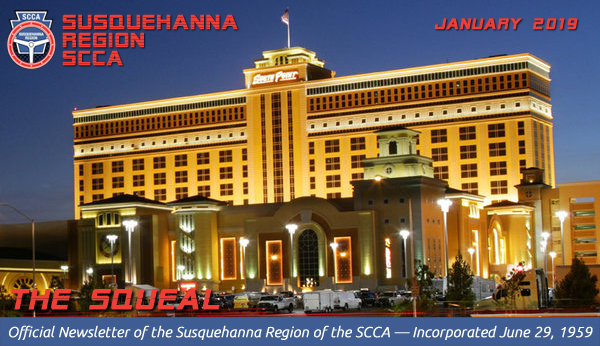 SCCA Gear added a new section for region merchandise and we've made sure that the Susquehanna region is a part of it. *This schedule of events is preliminary and far from complete. Watch for future updates. Have suggestions for the type of articles or info you'd like to see in The Squeal? Feel free to email me with questions or content suggestions. 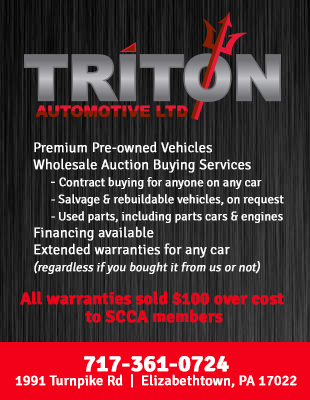 You're receiving this email because you are a member of the Susquehanna Region of the SCCA.